ROUGHWATER & DSRF SUP SURF TOUR is a danish SUP Surf Tour with 4 evtens that alltogether is the Danish Championship – all 4 events will be located along the westcoast of Denmark. Every event will be adjusted so it will not run for more than 3 hours. This means that there is only room for 20 competitors. 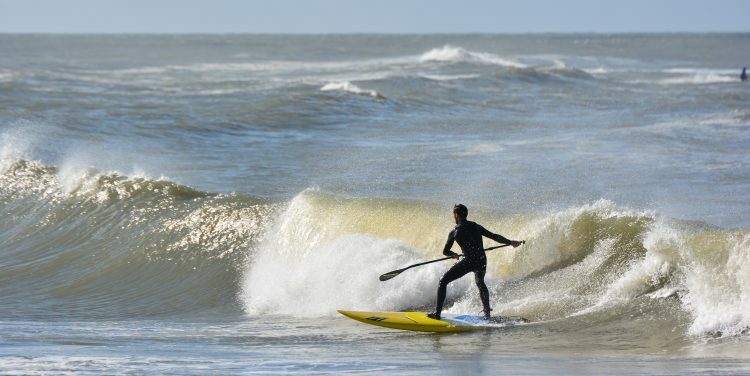 There will be 2 competitions at every event: single performance and traditional surf heats.